Yes, we think we can DANCE! To understand the differences of regulatory mechanisms between two biological conditions/disease subtypes, we can use DANCE to infer a context-specific network. Our approach quantifies the context-specific impacts of copy-number alterations on gene expression under one condition. An example of deregulation network, where copy-number loci (red nodes) drive expression (green nodes) differentially in breast cancer ER-negative subtype compared to the ER-positive subtype. 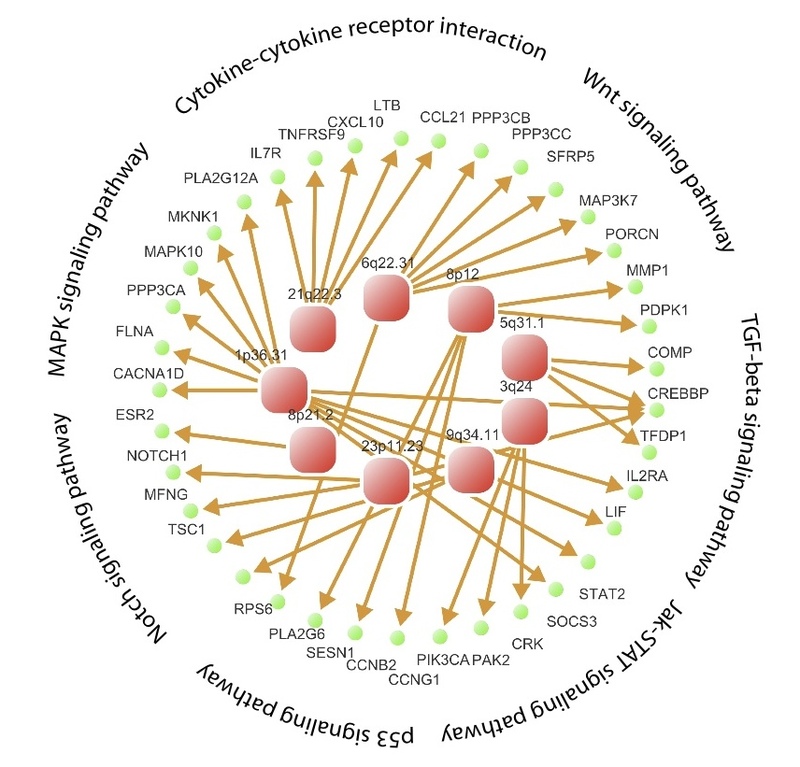 Subtype-specific: The deregulation network is a context-specific network, with interactions between copy number and expressions that exist in one cancer subtype but not the other, eg. specific to breast cancer ER negative but not ER positive subtype. Efficient inference: The network inference is facilitated by sparse regression models (implemented based on R package lol), while special attention has been paid to the nature of DNA copy-number data. Cis- and trans- associations: Unlike previous methods, both cis- and trans- associations are considered, which means DANCE is able to infer the effect of a remote loci exerts on a transcript. The package is submitted to Bioconductor.